Perfect meeting place, this… Just perfect! 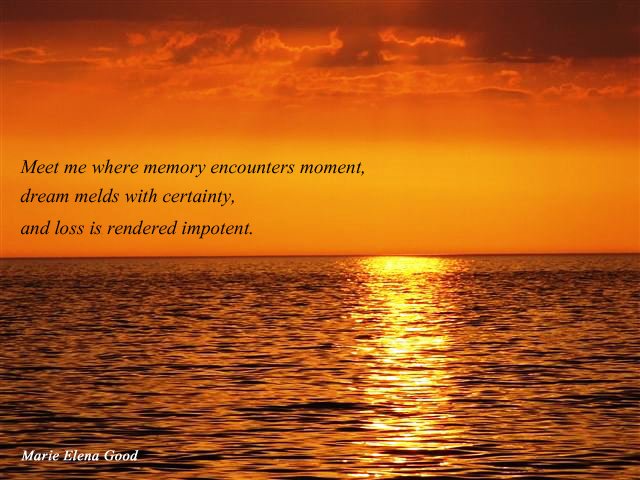 “… loss is rendered impotent.” Beautiful! And a perfect pairing, too! Nice work, Marie! Thank you! I wrote this one a few years back, and was just waiting for just the right photo to place it with. My Father-in-laws photos of the sunset are amazing.